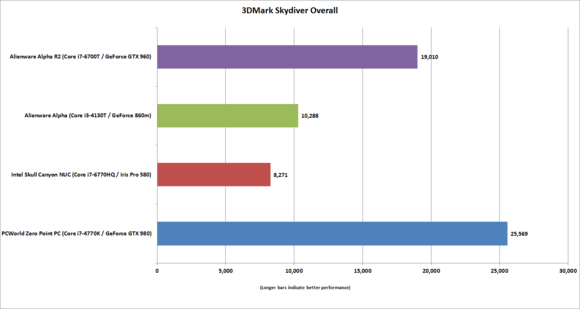 Alienware has achieved something impressive here. But the noise is distracting and the price is very high. We're also expecting competitors to hit the market soon. But that’s not the point here. No one expects it to hang with what was once a top-tier $800 GPU. 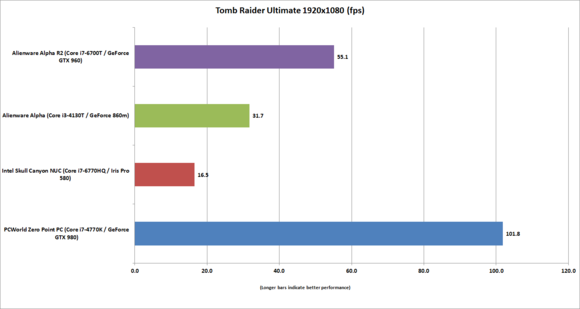 What’s most important is that the tiny Alpha R2 can push Tomb Raider with an average frame rate of 55 fps while set to 1080p and Ultimate. That’s impressive. We’d agree with that, but life is better with options. The Amplifier’s appeal is that you at least have the option to upgrade performance of the R2 in two or three years if you decide you need more performance. If every mini PC and laptop had an Amplifier port three years ago, you’d get a lot more utility out of them—if you wanted it. What’s great about the Amplifier is that it works, you can get one right now for $200. Miniaturization is expensive. So is coming to Australia. One sticking point is the Alpha R2’s cost: Our review unit’s Core i7-6700T, GTX 960, 1TB 7,200 rpm drive, and 8GB of DDR4/2133MHz RAM pushes $1,710. Yes, that’s without the optional M.2 SSD. Switching to a 256GB SSD is 'only' $30. Boosting that capacity to 512GB is $280 and 1TB is $751. Another stickler is that when you choose the 6700T processor over the 6400T, you're given an error message which demands you pay $100 more for Windows 10 Pro instead of Windows 10 Home. We've asked Alienware for an explanation. As for an Australia Tax at least Dell isn't foisting the ridiculous 241% price increase on us that we recently saw with Dell's Latitude 7370 laptop, In the US this PC can be had for $950 - but that's without GST. On the current exchange rate with GST included, however, the R2 comes in at $1394 so we're paying more than $300 more. But this isn’t completely out of line for a mini-PC. 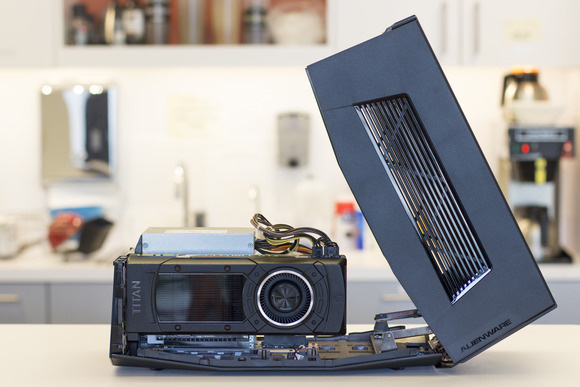 The Zotac EN970, a very similar bare-bones system, will set you back $1375. 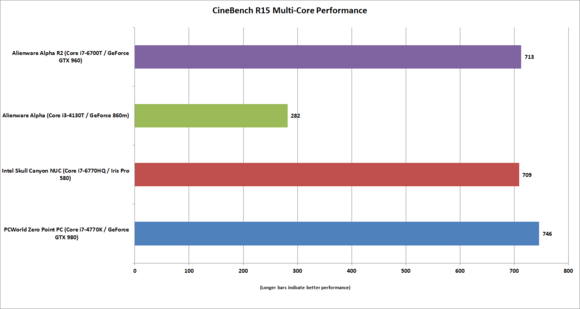 Once you add storage, RAM, and an OS, you’re looking at price parity (if not more) with the Alpha R2—but with the disadvantage of an older, slower Core i5 Broadwell CPU. 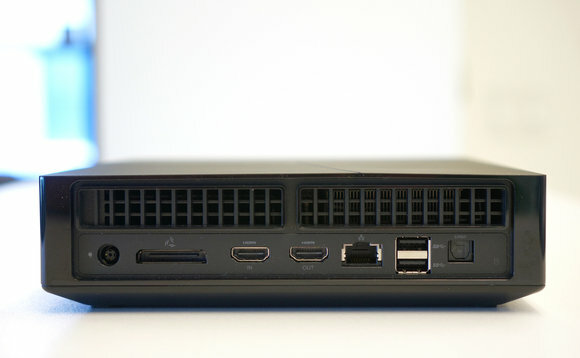 However, as we recently saw at Computex, many manufacturers are in the process of releasing mini gaming PCs. But they're not here yet. Still, you’re probably thinking that for that much money, you could just buy a far more capable tower PC. That’s true, but the operative words there are “tower PC.” That’s going to be far larger. 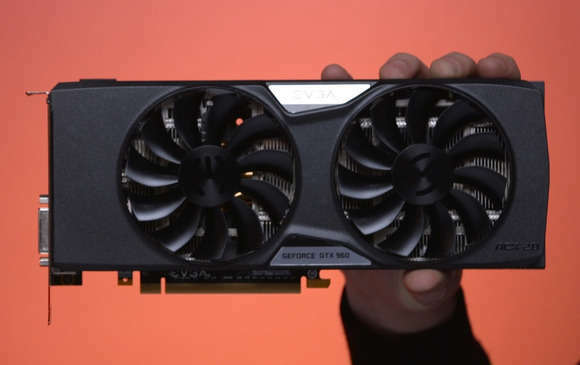 Ultimately, you’ll always pay a premium for miniaturization, whether you spend that cash on an Alienware Alpha R2, Zotac EN970, or Intel Skull Canyon NUC. If a tiny PC isn’t your thing, just drive on. However, if you are wanting a PC for the living room, it's worth checking out Corsair's Bulldog case. It's not very 'mini' but it is quiet and designed for the living room. 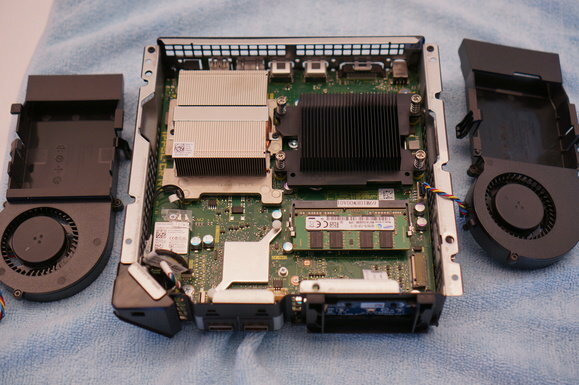 It's very much a bare bones system but it starts at $550 and you can make it very powerful. The Alpha R2’s three main negatives are excessive fan noise, the inclusion of a mechanical hard-disk drive as standard and a $300 price hike for Aussies. 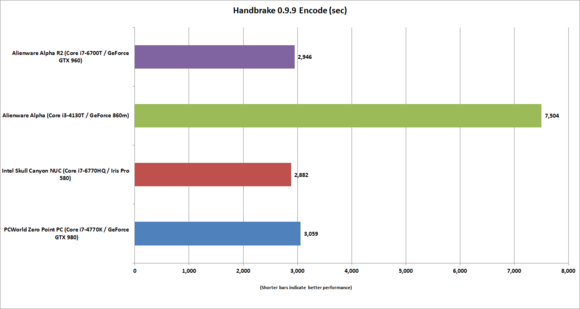 HDDs as primary drives just stink. 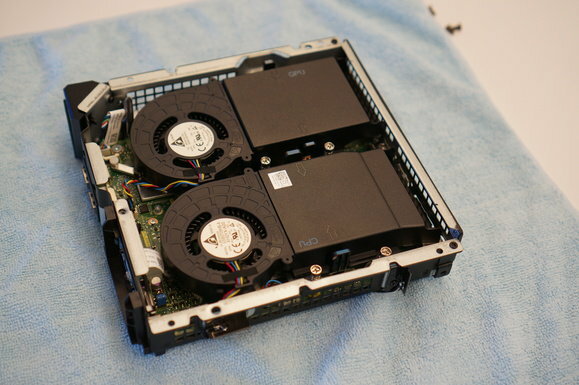 Sure, you can fix the hard drive issue, but you’ll pay for it. The same may go for the fan noise: You may need to invest in headphones to ignore it, if you live with (or next to) people who can’t stand hearing a loud TV. 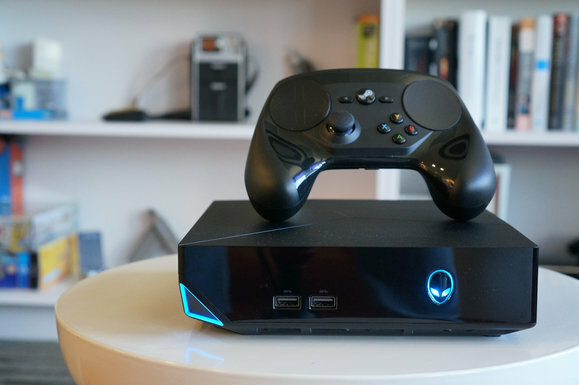 These drawbacks don’t take away from what Alienware has done with the Alpha, though. You’re really getting a ton of performance from a machine with the same volume as a two-liter bottle. It’s capable of playing most games on High to Ultra settings at 1080p, which is an amazing accomplishment for something so small.